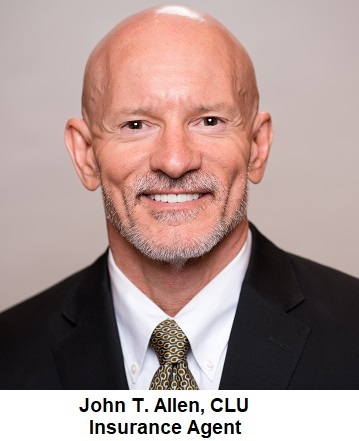 John T. Allen, CLU Allen Insurance Agency was created with YOU in mind. The goal of this Website is to provide our customers a way to shop for health and life insurance in a stress free environment. The premiums that are quoted are from the insurance companies themselves with no markup by us. We are compensated by the insurance company that you do business with through us. Only licensed insurance agents are used to discuss benefits. We also offer a " Consultation Service" agreement for our customers that feel commissions are a conflict of interest. John began his career as a captive insurance agent in 1983. He started Allen Insurance Agency Inc. in 1994 as an Independent Insurance Broker offering life and health insurance. He received his Chartered Life Underwriter designation in 1993 from the American College in Bryn Mawr, Pennsylvania.